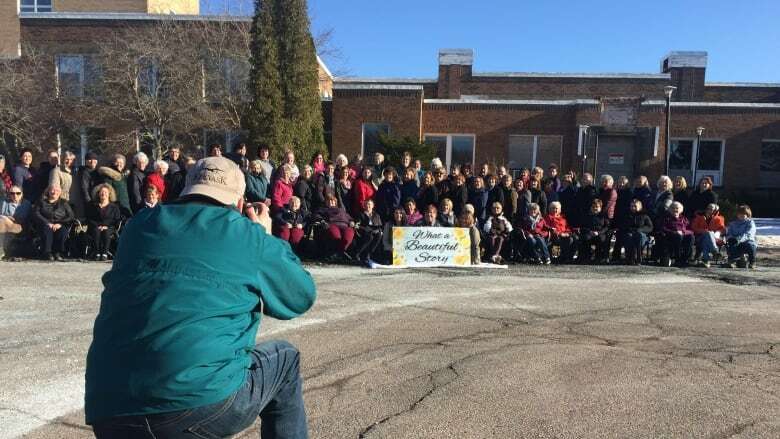 About 80 former nurses, caregivers and other staff — and maybe even a few ghosts — gathered at the old Prince Edward Home gathered on Sunday to reminisce and pose one last time for a group photo. There were plenty of tears, laughs and hugs as about 80 former nurses, caregivers and other staff — and maybe even a few ghosts — gathered at the old Prince Edward Home on Sunday to reminisce and pose one last time for a group photo. The building is expected to be demolished this summer. It was once a hospital, then was converted into a nursing home with a palliative care unit. It has been vacant since 2015. But for those who worked there, it was much more than a building, said Lysa MacDonald, who worked at the home as a licensed practical nurse. "There's been lots of talk about the demolition of the building and we just thought, 'Wouldn't it be great to come down as a group and get one last shot,'" she said. "When the fences go up and the building comes down, just keep in mind that the memories were here for a lot of people and to be sensitive to that. Because a hole in the ground to one person isn't necessarily the case for all of us." 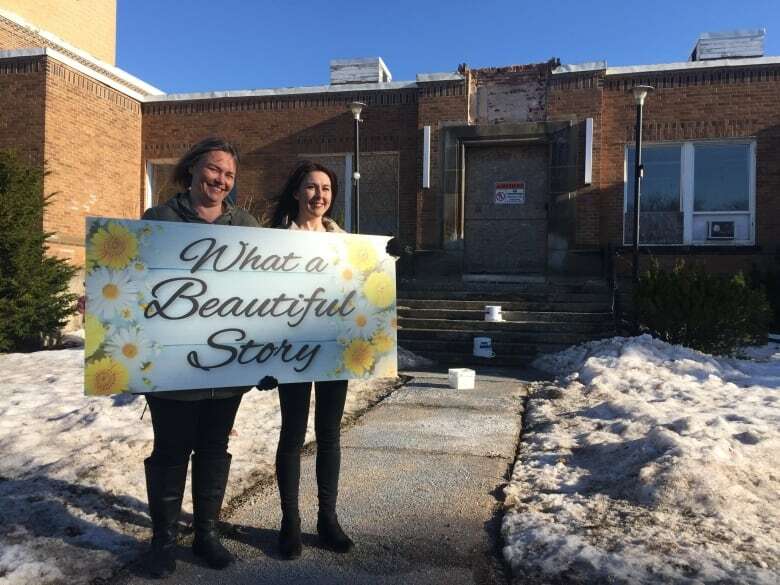 Mary-Beth Campbell Roach, who worked as a nurse at the Prince Edward Home in the 1990s and again years later, said the building stirred up much emotion for former staff, some whom haven't seen each other in 10-15 years. "There's so many, so many memories there," she said. "It's amazing how much emotion can be stirred up just by talking about it and, you know, as nurses what we do on a daily basis is pretty intimate and pretty emotional." Campbell Roach said while the building is no longer in use — and even when it was, it had cracks in the walls and wasn't in the best of shape — it's still sad to see it go. "Working there, the group of nurses and staff and maintenance and housekeeping and dietary staff, it was just such a team approach and I know looking back everything always seems better … but it really was an amazing place to work." 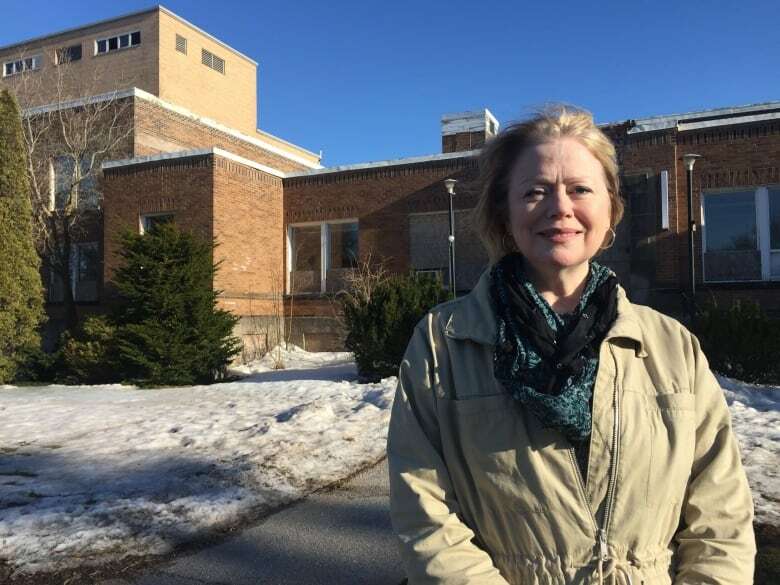 She said there was almost like supernatural feeling inside the building — "a lot of folklore and stories about ghosts and, you know, different people roaming the halls that you know have long gone. "It was always interesting, never boring." Trish McInnis, who worked as an LPN at the home, said Sunday's gathering was a "beautiful reunion." "It's quite heart-warming really to have everyone here together again. We all became a really big family here, we all love each other so much." There has been extensive public debate about what should happen to the site once the building is demolished. It is located on prime real estate adjacent to Victoria Park in Charlottetown. The province has said it plans to remove the asphalt surfaces and put down topsoil and seed it.